Switchyard is acoustic listening buffet held every Sunday at Jason Payton's house in conjunction with Tim Baker. 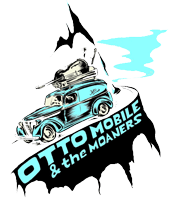 Big Band in a littlehouse - Otto's midwest folkestra. Stevie Tombstone and RikkiJean&the DWBs also playing.